Fishermen in Northern Thailand caught this huge catfish in their net on a fine day in the Mekong River on May 1 2005. Measuring at about nine feet long (2.7 meters) and about as large as the common grizzly bear, this behemoth weighed in at 646 pounds (293 kilograms). 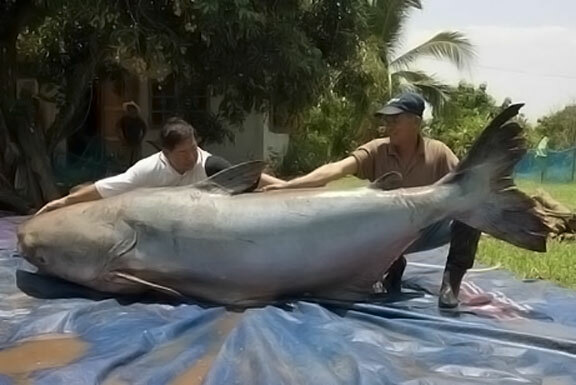 Experts say the catfish belongs to a species known as the Mekong giant catfish, may be by far the biggest freshwater fish ever to be recorded.